Borgo San Marco is a place where you can inhale the true soul of the old masseria and the ancient country traditions. Surrounded by several entury-old olive and carob trees, its smart environment offers an attentive and fine service to its guests. The ideal place for walks in the country. The Masseria Borgo San Marco is located in the green Contrada Sant'Angelo, surrounded by centenarian olive and carob trees. It enjoys the privacy of the typical villages of the countryside, but with the chance to quickly reach other more touristic villages and towns. It enjoys an ideal location that will allow you to visit the Valle d'Itria in all its facets, to have a walk towards the Trulli, and to discover the many caves and crystal clear seawater. Borgo San Marco was built between the ninth and the fourteenth century as a fort, in 1317 was given to the Order of the Knights of Malta and had the fundamental task of protecting the town from attacks by the Saracens. The old fortress tower, the barn and the oil mill have been skilfully restored with materials of the period and Borgo San Marco has been given back to its former glory by the Amati – Colucci family. 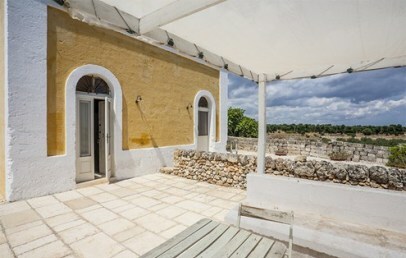 Today it is a well fortified masseria, a farm residence of peace and relaxation where it is possible to feel and breathe history. Within its walls, in the cave of the Byzantine monastery, were found many relics of historical, cultural and artistic interest. The predominant colors of Borgo San Marco are chalk white and yellow ocher and its scent is that of the Mediterranean vegetation. 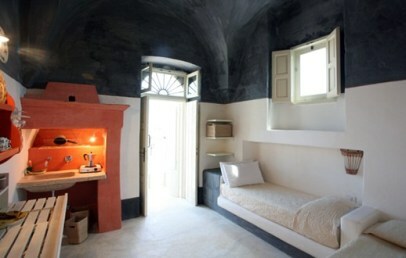 Borgo San Marco has 18 suites, including 4 located in the annexe buildings. All of them are spacious, comfortable, bright and are equipped with air-conditioning, minibar and television. The rooms are characterized by niches, arches and high. 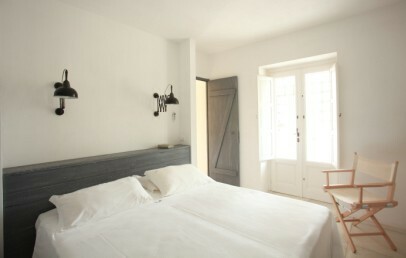 They differ in the details of the furnishings, the location, size and names of rooms inspired by the life of the village. On request it is possible add a 3rd and a 4th bed. The Suite Don Ferdinando is the only one with a private Jacuzzi tub. Two additional Suites with 4 beds (Volpe and Falco) are located 150 m from the main building and include a kitchenette; furthermore two Suites with 2/4 beds (Isola Grande and Isola Piccola) are located 500 m from the building. The sea is just a few minutes away by car and, thanks to your stay at the Borgo San Marco, you can take advantage of some nice beach clubs, with whom the Masseria have special deals. The beaches and waters are guaranteed by the Blue Flag Award, and offer many services and diving centers. Guests can enjoy the Borgo San Marco Aquae treatments and the wellness center, followed by expert therapists. Within the property you can walk, jog and exercise or use mountain bikes on paths drawn between the ancient olive trees. For golf lovers there is a nearby 18-hole course at the San Domenico Golf or a 9-hole course nearby. The Borgo San Marco restaurant chooses his ingredients between the products of own production, primarily the extra virgin olive oil and the best local fruits that will be served in different areas of the Masseria. The breakfast buffet offers cereals, biscuits, cakes and pies prepared by the skilled staff. You can have hot and cold drinks and integrate breakfast with fresh fruit, jams, eggs, cheese and salami. Guests have many books available in the library and the infinity pool, fully integrated into the Mediterranean vegetation. The Borgo San Marco also offers numerous itineraries to discover the history and culture of the Valley. Moreover there are itineraries for walking, jogging or at the beach there is the possibility to play tennis or volley or to use the mountain bikes of the Masseria to ride around the estate between the millenary olive trees. City tax – € 1,50 per person, per overnight for the first 3 noverights of the stay during the months of May, June, September, October; € 2,00 per person, per overnight for the first 5 overnights of the stay during the months of July, August. Children under 12 years are exempted and the amount of the tax has to be paid on-site. The Suites Superior Triple (Cavaliere, Degli Aranci, Don Ferdinando) and the Quadruple (Moro, Don Vittorio, Donna Giulia) offer spacious and bright rooms and can comfortably accommodate up to 4 people. They are located in the main tower of the Masseria and characterized with a mix of elegance and tradition with differences in details in each room. The bathroom has a tub. All Suite have a small terrace facing the countryside and towards the sea. 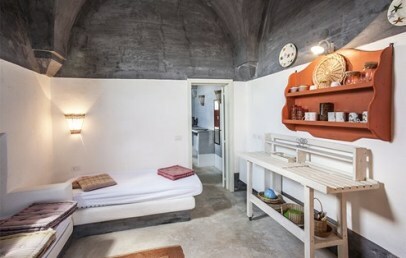 This one room Suites are ideal for two and are the Suite Perpetua and Suite Vescovo. The Perpetua Suite offers a double bed, a fireplace and a window with view on the olive grove. The Vescovo Suite have either a double bed or twin beds and offer a terrace facing the court yard and sea. 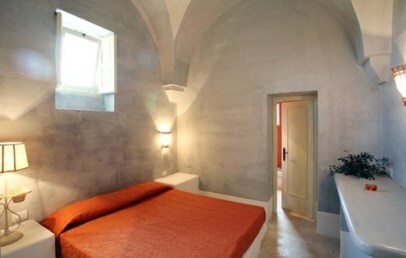 Both suites are located in an ancient accommodation, characterized by niches, arches and high ceilings. The en-suite bathroom has a shower or a tub. The Volpe Suite and Falco Suite are located approx. 150 m distance from the main building and can accommodate up to 4 people. The Suites are comfortable and offer a small corner kitchen with a hob and sink. They have vaulted ceilings and a private patio with a breathtaking view of the ancient cave, now planted with olive trees. 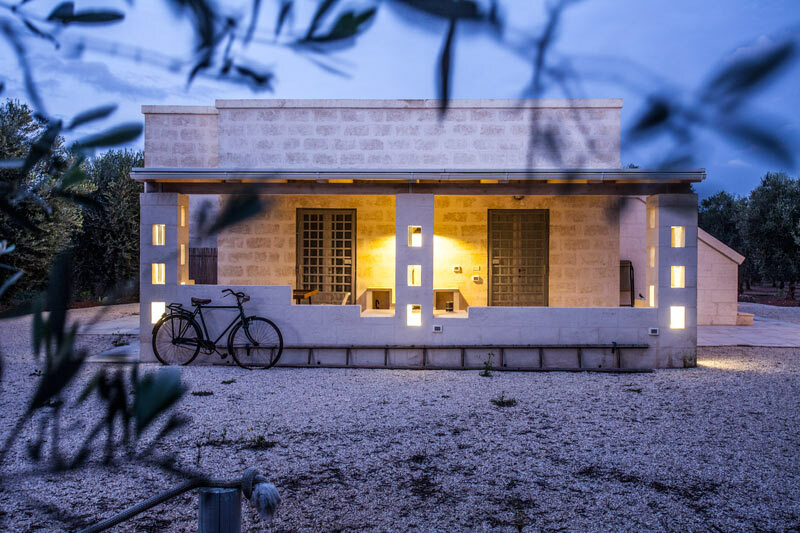 Isola Grande is the name of a Suite embedded in a relaxing greenery and quiet area of the Masseria and about 500 meters from the main building away. The suite has been fully renovated and equipped with several comforts and features an outdoor shower, coffee machine, guardian service and offers the possibility to accommodate up to 3 or 4 people. The small terrace and the outdoor patio offers a view on the plain of ancient olive trees and it is a perfect accommodation for all who seek tranquility and nature. 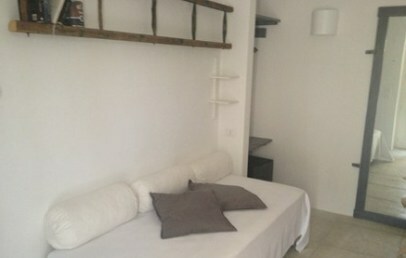 These Suite Standard (Cocchiere, Pastore, Ortolano, Mascara, Ceò, Fornaio) are comfortable and cosy two room Suites. They have a either a time-honoured stone bed or a king-size bed, one bathroom with tub or shower, a patio or a terrace with view over the nice pool.